Also known as the ‘Royal Dog of Scotland’. 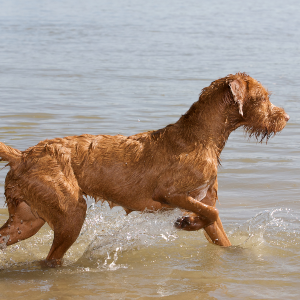 May intimidate other dogs because of their large size, or chase wildlife. Willful tendencies may be reduced by using motivational tools such as treats and favorite toys in reward-based obedience training. 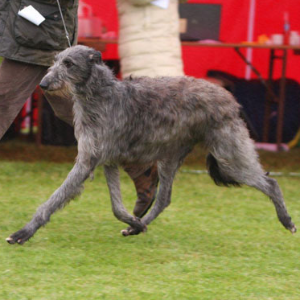 Scottish Deerhounds enjoy dog sports such as lure coursing, racing, running, tracking, agility, and both rally and competitive obedience as well as jogging. 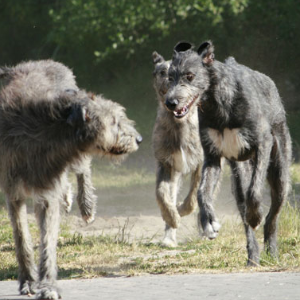 In coursing, they’re let loose as near as possible to the deer and simply chase it until it falls. Stalking, on the other hand, means they only go after the deer after it’s been wounded by a gunshot. 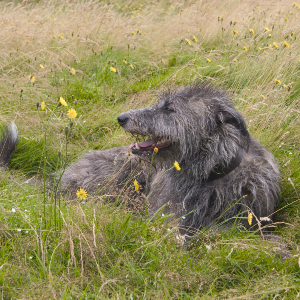 It’s probably no accident the Scottish Deerhound is also known as the ‘Royal Dog of Scotland’. 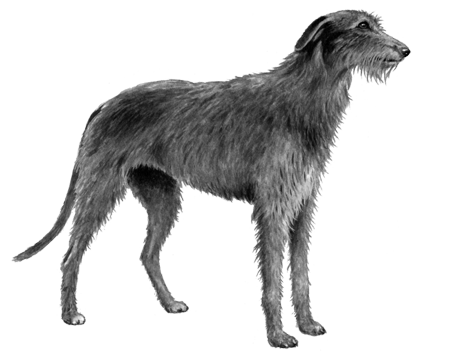 During the Middle Ages, the breed was so highly prized, only noblemen were allowed to own them. 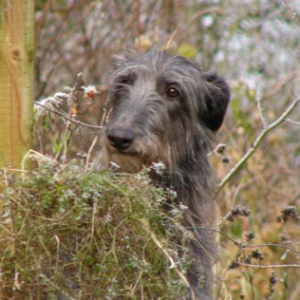 Docile, friendly and very intelligent, they’re still regarded highly today.